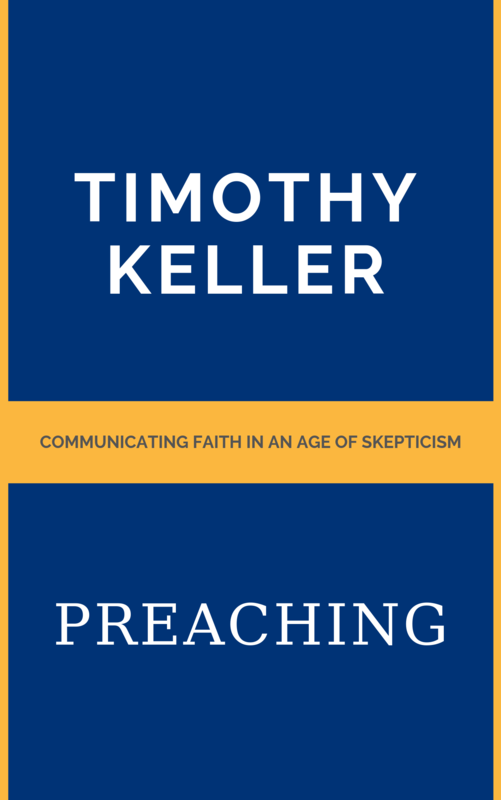 Preaching seeks to help pastors, teachers, preachers, and Christians in general to share the Gospel in a compelling way in our increasingly secular, skeptical, and anti-religious cultures. In an attempt to be relevant, many preachers cast doubt on the viability of preaching as an effective form of communication or catalyst for life change in this day and age. Others believe that the preacher should focus less on Scripture and more on positive and motivational speeches. Keller argues against both of these thoughts. The preacher should stay true to the Word of God and preach expositionally from Scripture, continually presenting the Gospel from every passage of Scripture. Preaching and longer lectures are not a dead forms of communication. If so, Ted Talks would not be as popular as they are. Therefore, he argues that what needs to change is the preacher’s confidence, understanding, and passionate presentation of the Word. The preacher must also be able to understand and connect its principles to the context of the culture in which we live. Keller draws examples from the Word of God, great preachers of the past, and personal anecdotes from his own ministry. He gives practical examples of how to effectively contextualize the Gospel for our culture, while simultaneously magnifying Jesus and his power to convict, forgive, and redeem. Any person who is preaching or desiring to preach on a regular basis would do well to explore this book. 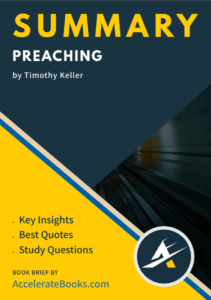 It is a wellspring of practical advice that will help any preacher connect skillfully better with his audience. It will help every preacher better communicate God’s Word in our present culture. Timothy J. Keller is an American pastor, theologian and Christian apologist. He was educated at Bucknell University, Gordon-Conwell Theological Seminary, and Westminster Theological Seminary. He is best known as the founding pastor of Redeemer Presbyterian Church in New York City, New York, and the author of The New York Times bestselling books The Reason for God: Belief in an Age of Skepticism, The Prodigal God: Recovering the Heart of the Christian Faith, and Prayer: Experiencing Awe and Intimacy with God.